Fire departments across the country visit local elementary schools to teach fire prevention to children and it sparks something inside of them that makes them curious and excited about firefighting. Unfortunately, research has shown the potential dangers of exposure to contaminated first responder personal protective equipment, and the interior of the fire truck. We want to make sure children receive the education and training they need but also protect them from any potential exposure to harmful contaminants. In addition to keeping our firefighters safe, we also want to keep our kids safe. As a part of our WE CARE initiative, we are now manufacturing kids size turnout gear for departments to use specifically during fire prevention training at elementary schools. Our goal is to embrace the heroic nature of firefighting and allow children an opportunity to put on a firefighter’s jacket and pant to learn what it really feels like to be in their shoes! Our first set was made for Washington Township Fire Department in New Jersey, and it has been a big hit. 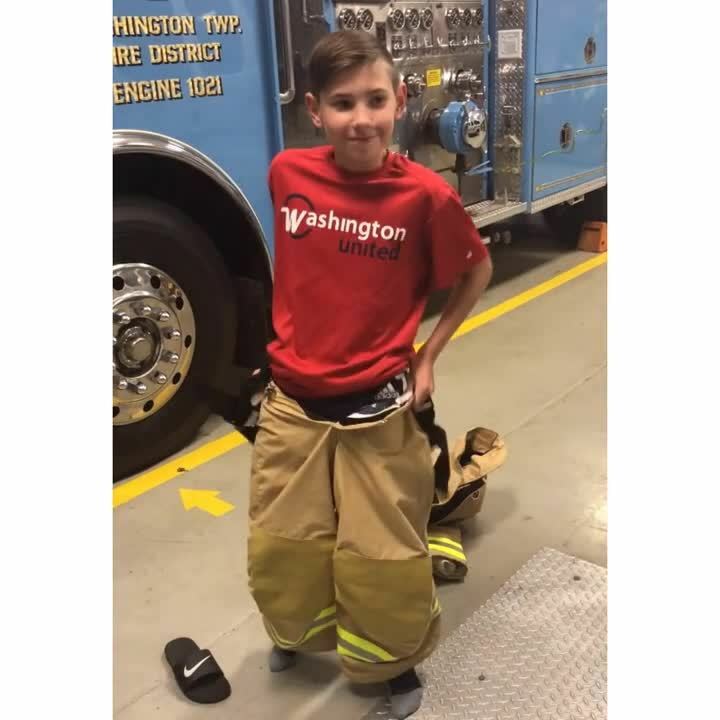 In addition to fire prevention training, Washington Township Fire Department uses it during open houses and takes it to various community event days throughout the year, allowing them to better interact with the communities they are protecting. When the gear is not being used, they store it in a box in the office to prevent contamination and UV damage, ensuring our children stay safe. Interested in Getting a Set for Your Department? Fill out the form below to get in contact with a distributor! Please note this gear is not NFPA certified.